We all experience different feelings every day: happiness, sadness, pride, anger, surprise, anxiety and many more. Do your kids know the names of these different emotions? Do they know how to cope with them? I’m excited to have Janine Halloran here on the blog today, who is the founder of Coping Skills for Kids where she provides products to teach kids how to cope with their feelings in healthy ways. She’s also the author of the Coping Skills for Kids Workbook. 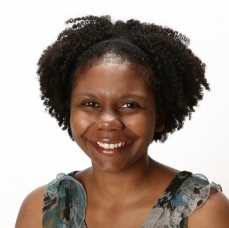 Janine is a Licensed Mental Health Counselor and has been working with children, adolescents and their families for over 15 years. She is married and currently exploring Northern California with her husband and two kids. 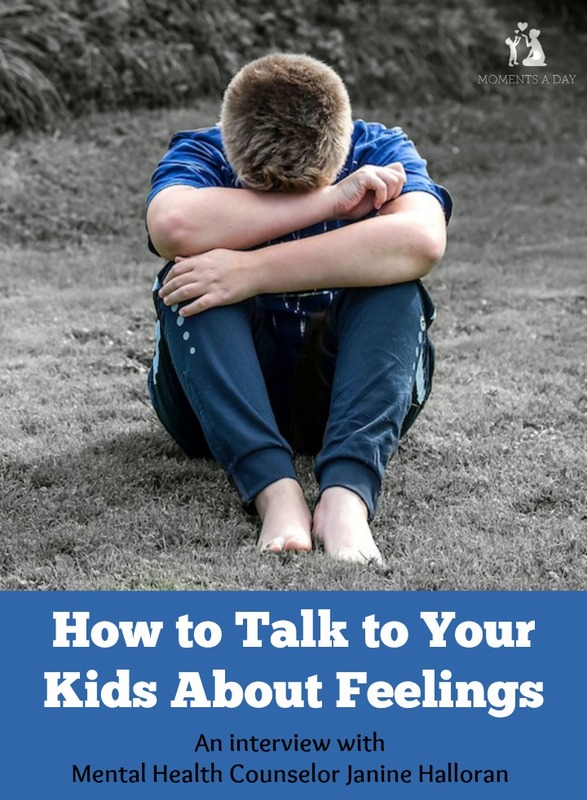 She has some great advice about how to talk to your kids about feelings and I hope you enjoy the insights and recommended resources she will share. Why is it important for parents to talk to their kids about feelings? Learning about feelings is important for kids, just as important as learning how to read and write. Being able to recognize and express feelings in safe ways helps kids self-regulate and have more positive interactions with others. Parents can help kids identify what they’re feeling, where they feel that feeling in their body, and healthy ways to express their really big feelings. These are all vital components to help kids become emotionally competent. Are there any points to keep in mind when discussing this topic with kids? Make sure that kids know it’s OK to feel all feelings. Being angry that your little brother broke your toy is understandable and it’s completely fine to feel that way. What matters is what you do with those feelings. Deciding to hit your brother isn’t a good way to deal with that anger. Instead, find other healthier ways to express yourself. Use words and say “that made me mad!” and get some of that angry energy out by doing jumping jacks or wall push ups. What age would you begin these conversations and why? Are there any resources you recommend using to prepare for parent-child discussions? The Happy Kid Handbook by Katie Hurley, LCSW – This whole book is wonderful, but for parents who want to focus on working on feelings with their children, there’s a whole section with lots of great ideas for feelings games to play and feelings activities to do as a family. 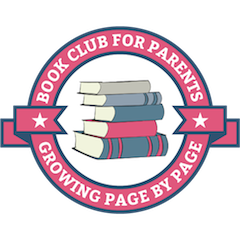 Bloom Parenting by Lynne Kenney, PsyD and Wendy Young, LCSW, BCD – This book has tons of ideas for things you can say, think and do to help create an emotionally healthy environment in your home. 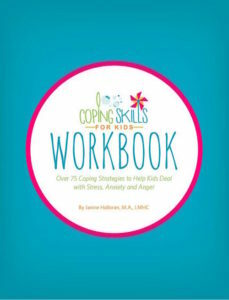 Coping Skills for Kids Workbook by Janine Halloran, LMHC – A workbook I wrote specifically to help kids learn coping skills, with more than 75 coping strategies kids can use to help them express their feelings in healthy and safe ways. How do you talk to your kids about feelings? Any helpful analogies, resources or experiences you want to share? The topics are quite relevant and appropriate! Being a mother of a 16 months old and coping up with my ‘identity crisis’ phase, after a break from work post my pregnancy, you articles help me to revive my energy and focus! Great work….thank you Chelsea!